Peter C. Wittlin has been practicing real estate, business, and bankruptcy law in Orange County since 1979. He is a 1976 graduate of the Pepperdine School of Law, Malibu, California, and a 1971 graduate of Washington University in St. Louis where he obtained a Bachelor of Arts degree, majoring in American & European History and minoring in English Literature and Composition. He is a former teacher, having earned a secondary teaching certificate on a masters’ level from the University of Bridgeport in Connecticut in 1972. Pete is the 30-year Editor of the ‘Real Estate Law Update” for the Real Estate Section of the Orange County Bar Association. in which he summarizes for the 300+ members of the section important new appellate case and legislative developments affecting the practice of Real Estate Law in California. Pete is the section’s annual guest speaker on “The Top Ten Real Estate Appellate Decisions of the Year.” In 1990 he received the section’s “Most Outstanding Achievement Award” and in 2012 its “Outstanding Service Award” for having written the “Update” since 1982. Pete is a frequent and popular guest speaker to area real estate and business groups on topics of legal interest. 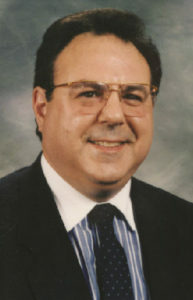 He serves as a testifying expert witness on “the real estate broker’s right to a sales commission.” He is an active member of the Real Estate Law, Business Litigation, Business & Corporations, and Bankruptcy Law sections of the Orange County Bar Association and of the Bankruptcy Law Forum of Orange County. California and serves annually as a judge in OCBA’s College of Trial Advocacy. Pete is also an active and speaking member of RIAOC, – the Real Estate Investment Association of Orange County, California. He is a long-standing member of the California Association of Realtor’s Attorney Referral Panel.